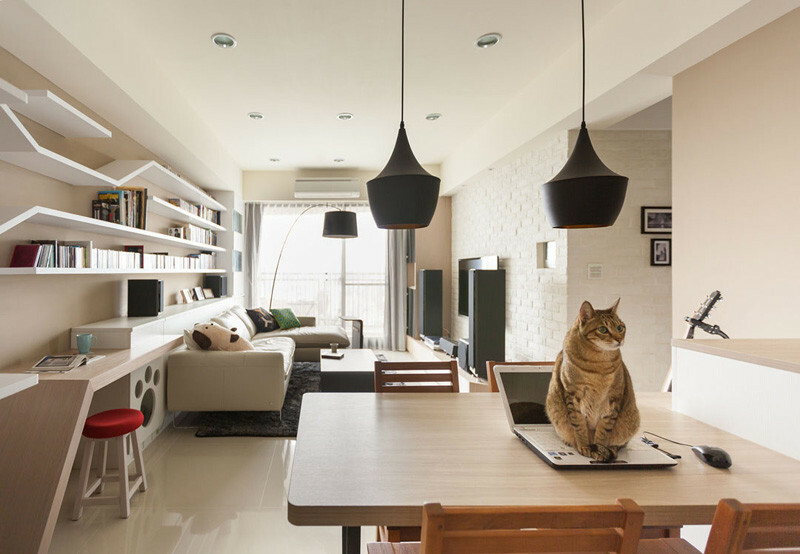 When Taiwanese design firm Thinking Design were tasked with designing a home for their client with a cat, they decided to include a ‘catwalk’ for the family feline. 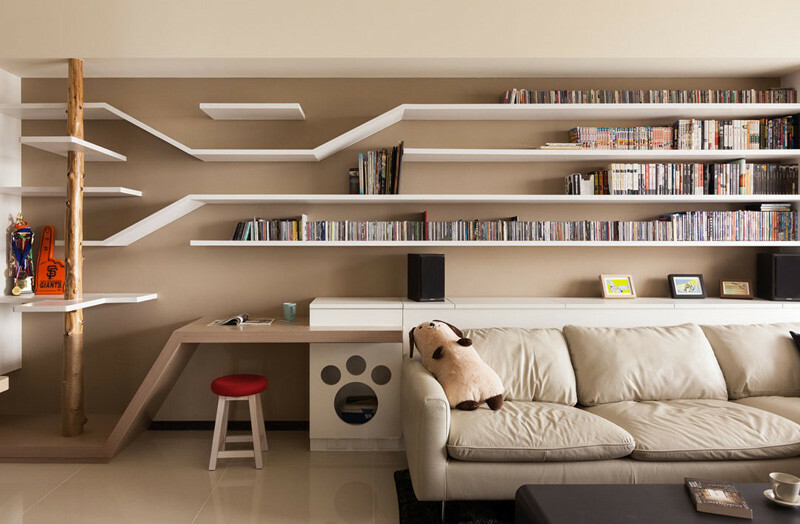 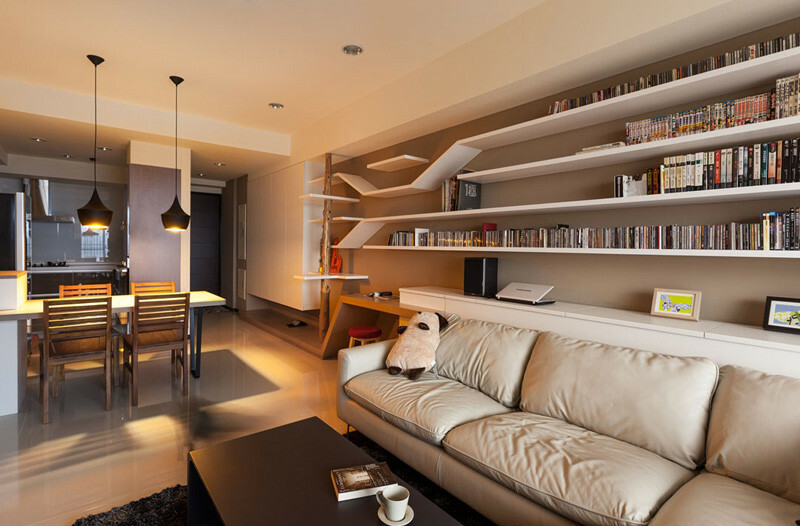 By combining the bookshelf with the catwalk, they were able to make the catwalk appear seamless in its design, and include some storage for the homeowners at the same time. 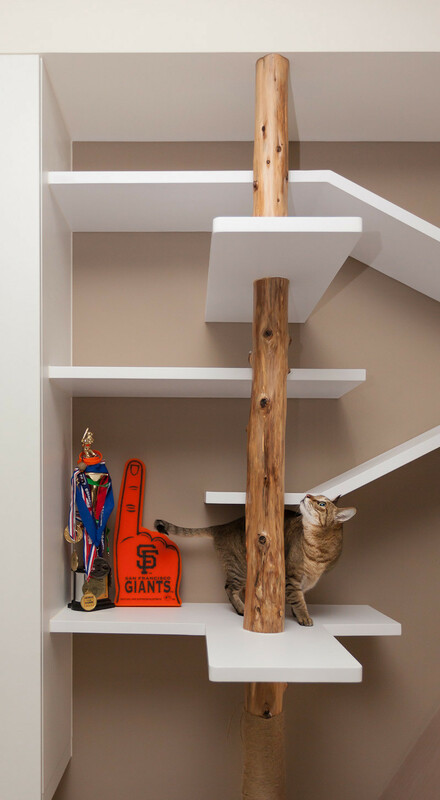 A wooden cat tree (for scratching) was placed in the corner, which also helps the cat to climb the levels. 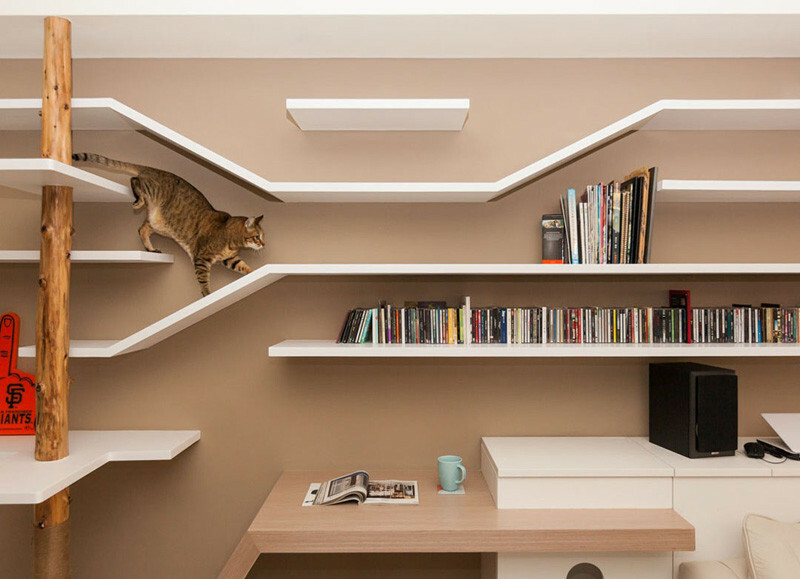 A variety of shelf heights let the cat have a ‘birds eye view’ of the living space. 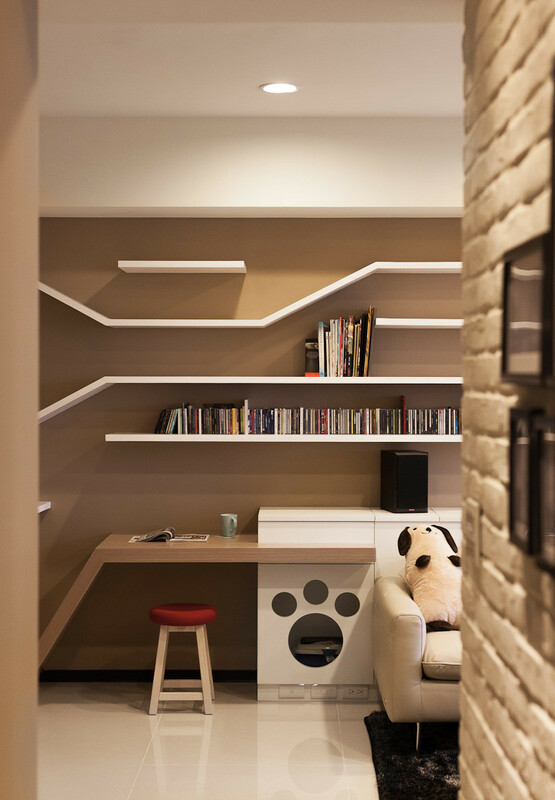 A special spot for the litter box has even been included as part of the sideboard/desk.